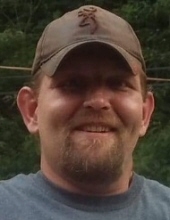 Christopher "Chub" Scott Williams, age 36, of Hazard, KY passed away on November 21, 2018. Chub was a self employed mechanic. He is preceded in death by his mother: Brenda Gail Lane Noble and step father: Mickey Noble. He is survived by his father: Dale Williams; two sisters: Stacy (Shaun) Honeycutt of Bulan, KY & Misty Williams of Ball Creek, KY; one brother: Ronald Brandon Williams of Blackey, KY; companion: Zola Williams; one step-daughter: Destiny Hibbard and a host of nieces, nephews, family & friends. To send flowers or a remembrance gift to the family of Christopher "Chub" Williams, please visit our Tribute Store. "Email Address" would like to share the life celebration of Christopher "Chub" Williams. Click on the "link" to go to share a favorite memory or leave a condolence message for the family.